Common Photoshop pitfalls and how to avoid them. Working in Photoshop CC is such an major feature in most designers' lives that much of what we do can become ingrained and subconscious. 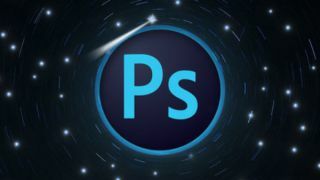 It's one of the key tools for graphic designers, and there are lots of brilliant Photoshop tutorials around to help us keep on top of things. But if it's been a long time since you really considered your Photoshop workflow, chances are you're not being as productive as you could be. Learning shortcuts is an enormously important way to save time and energy as a designer. Not got them memorised yet? Take a look at this list of the most useful Photoshop shortcuts, and print out this handy shortcut cheatsheet. It's easy to see why some designers don't use these: while you're learning them, shortcuts seem like a faff, and slow up your workflow. However, as soon as you have the main shortcuts secured in your muscle memory you'll see your workflow speed up exponentially. Got all the big ones nailed? Good for you. Now create your own custom shortcuts in Photoshop by selecting Edit > Keyboard Shortcuts. Or go even further and create your own Photoshop scripts. Get in the habit of hitting cmd+S every 10 minutes or so and you'll thank yourself when the rainbow wheel of death rolls its way onto your screen. A central feature of Photoshop, layers make a project easier to edit, duplicate and more. A common mistake amongst Photoshop beginners is not to make enough layers, only to regret it later when you realise it's quicker to start again than edit what you've done. More experienced designers know not to fall into that trap – but what they still often fail to do is to organise their layers and structure them into folders properly. Again, this may seem like a lot of unnecessary work, but it will help massively in keeping your project organised and save you lots of time and hassle in the long term. Plus, when it comes time to hand over your work to another designer, they'll love you for it. Similar to point 3, making permanent adjustments to the pixels within projects without building in a route back to an earlier version if you decide against your changes is a classic mistake to make. To avoid this, you're usually better off using layer masks instead of the Eraser tool. Also, use smart objects rather than rasterized layers. Want to go further? Take a look at our guide to 10 amazing things you can do with layers. There are times when using stock imagery makes sense for a designer working on a project in Photoshop. At other times, it's much better to shoot or illustrate the image yourself. When you do use stock photography, make sure the images are relevant and that you use your Photoshop smarts to improve the image where necessary. Believe it or not, designing in CMYK mode in Photoshop is not always the best way to go, especially when it comes to print work (for an explanation of the difference between CMYK and RGB see this article). Using CMYK during design can be limiting, as certain functions and filters do not work, and the file size will be bigger. Sometimes working in RGB mode with colour proofing on is a better way to work, and then the file can be converted to CMYK closer to the final stages. We've all seen examples where a designer has got a bit overzealous with the airbrush in Photoshop. Whether we're talking about removing 'clutter' from a landscape or smoothing a model's skin, it's important not to get too carried away with trying to make an image too 'perfect'. Paradoxically, going too far down that road will actually make it look fake and uninteresting. For tips on how to enhance your images, take look at our guide to using Photoshop adjustment tools. Photoshop is a very versatile tool, but isn't necessarily the right software for every design task. For example, if you're creating a vector-based logo, you're much better off using Illustrator CC. Many web designers argue Sketch is a better option for web design than Photoshop. Not sure which tool is right for your task? Read our roundup of the best Photoshop alternatives. Choosing the Image > Adjustments > Desaturate function in Photoshop does exactly what it suggests: it removes all the colour from an image, leaving you with a black and white version. However, this can often result in a flat, lifeless photograph. A much richer image can be produced by choosing Image > Adjustments > Channel Mixer. Uncheck Monochrome and then adjust the Red, Green and Blue channel sliders until you achieve the desired result. Photoshop's default resolution is 72dpi (dots per inch), which, for the most part, is fine for the web. But this resolution should not be used for print. At the beginning of a project, ensure that your dpi is set correctly for the type of work you're doing (print is typically 300dpi) as increasing the resolution at a later date can lead to work appearing pixelated and cause problems when printing.